aislelogic supports the retail marketing efforts of over 70 companies ranging from start-up organizations to a $120 Billion global company. 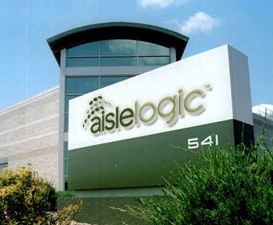 Many of these organizations have worked with aislelogic for over 10 years. Our work can be seen in over 12,000 dealer based retailers and over 30,000 supermarkets. We have earned many customers because of our ability to provide creative solutions with a strong understanding of manufacturing, the retail environment and how to engage the shopper. This ability affords us the privilege to react to tight timelines and rapidly changing conditions. We can do that! The relationships we share with each and every client have been earned by not only doing what it takes to get the job done but by consistently exceeding expectations.